Aim for fun with this compact size compound bow for all of your sportsmen (and sportswomen) on the run. 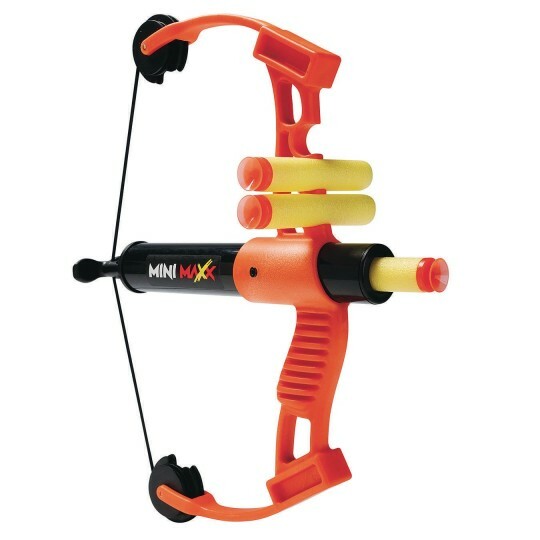 The MiniMaxx bow is easy to use and extremely accurate. It’s meant to be used in conjunction with the inflatable 3D targets (19198 and 19222 sold separately), practice your accuracy with this bow to hit the mark! Just pull back and shoot. Comes with three suction-tipped foam darts and built in quiver.